Cheney Mansion is located in Jersey County, Jerseyville, IL. There is an abundance of history about this area. 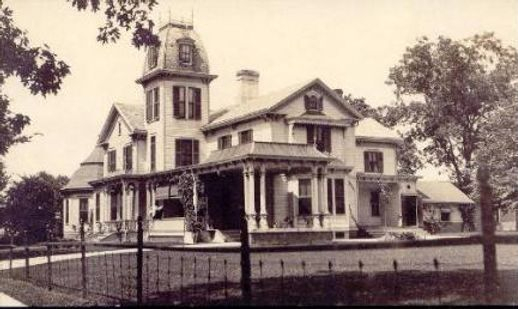 Dating back to 1827 the Cheney Mansion has plenty of history. It is believed that the original Red House or slaves who hid in the basement's false cellar, which served as a "station" for the Underground Railroad. On September 9, 1909 a meeting was held at the Jersey County courthouse to organize the Jersey County Historical Society. Since this time many artifacts and museum pieces have made their way back to the Mansion or the Society itself to be displayed. Over the years the society's collection of historical documents and artifacts have been housed at several locations including the basement of the Jerseyville Library, the Joe Knight house in Dow, and the Gledhill House. In 1998 Clayton Brown and Richard McCauley purchased the Cheney Mansion and donated it to the society, and it became our permanent location. We hope you will join us and your financial assistance will keep the home in the condition that we have always wanted it to remain.